Yes the second event for this month, but this one had a slight twist, the second half of the day was a gymkhana event. For those who are not sure what that is and the rest that do I apologise, its a dual car battle following a set course of turns and precise directions in order to find a winner. This event however was not a competition but a bit of fun encouraged by the staff of the Norfolk Arena Drift Team. A lot of the faithful decided to give this a go, not just in their drift vehicles but a few took part in their road cars. The course was a series of gates and bollards that mirrored each other for the drivers to follow and for the simplest explanation decide a winner. This ultimately was a practice event to provide a break from the norm and give a little insight into the world of pro-driving of the faithful. Also we had a guest driver at the arena, a professional class 10 grasstrack driver by the name of Josh Hassell. Together with his family they gave the hallowed concrete of Kings Lynn a burn and I must say he took to it just the same as the other drivers, not even missing a heartbeat. The cart was powered by 2 GSX 1000cc bike engines, providing over 320bhp to the wheels. 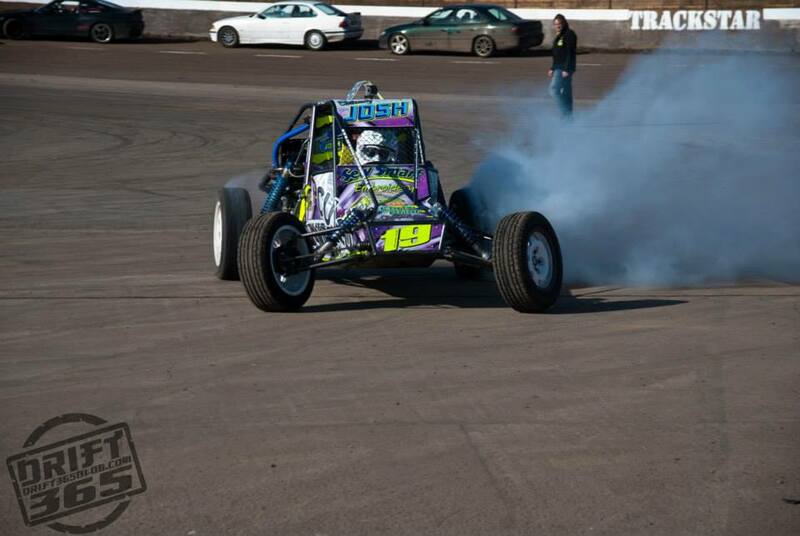 Tyre smoke was a certain. 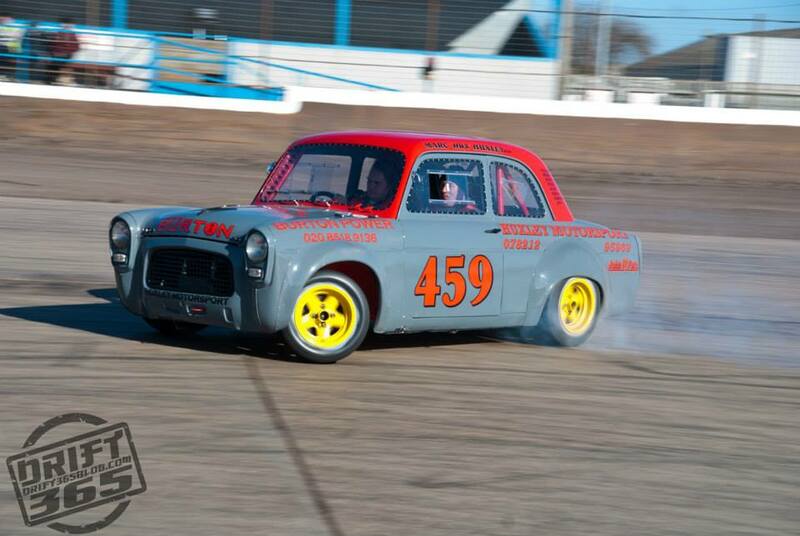 Also a first time visitor to the track was Mr Fozzy Foskett`s Ford Pop 100e. A long time project of various parties concluding in the workshop abilities of Jim and a select few it breathed life on the track for the first time unknown to its owner. Smiles were delivered as promised.